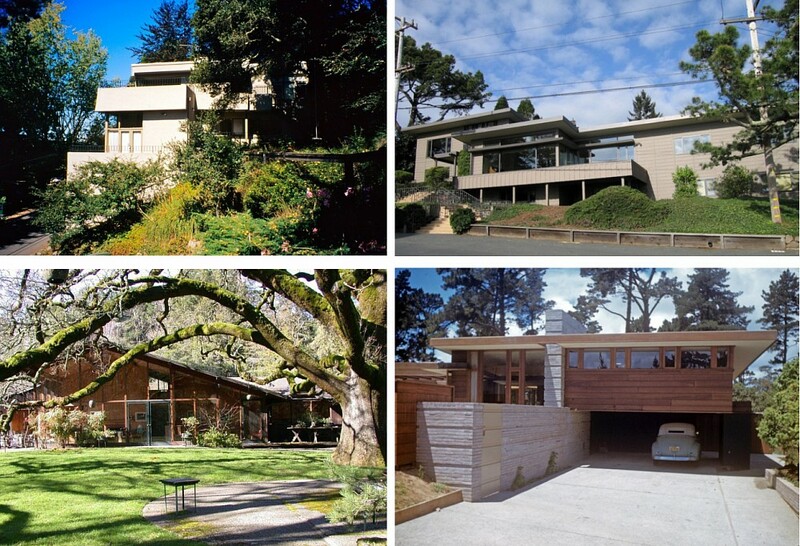 Feminism and Architecture: Where To Next? The energy was palpable. 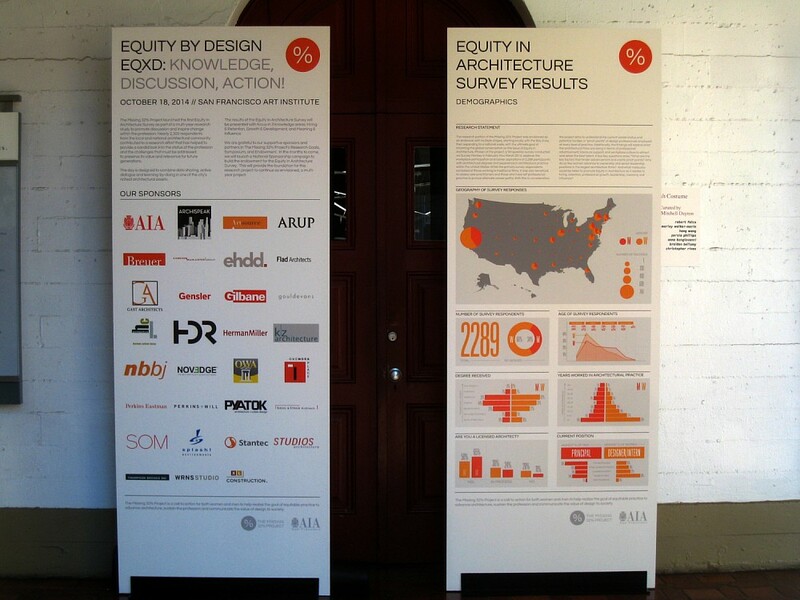 Participants from around the city, the state and the country were arriving, eager to understand the results of one of the largest grassroots surveys in the profession and participate in an overdue conversation with like-minded peers on how to define a more equitable future for architects. Leaders in our professional organizations -- AIA, NCARB, NCSA – were there to listen and engage. What started as a need to understand the attritional forces that were diminishing the number of potential female architects grew to encompass a broader base of issues integral to fostering a sustainable professional ethos that would benefit all architects. The Missing 32% Project (TM32PP) started with the simple question, “Why do women account for only 18% of licensed architects in the country when they represent 50% of the architecture school graduating class?” The first Missing 32% Symposium in 2012 discussed the role of women in architecture in the 21st century through learning about different career paths in the profession. The second Missing 32% Symposium in 2013 explored work/life balance, firm culture, communication and negotiation skills, and approaches to leadership. Denise Scott Brown skyped with the audience and received a standing ovation recognizing her lifelong contributions to architecture. 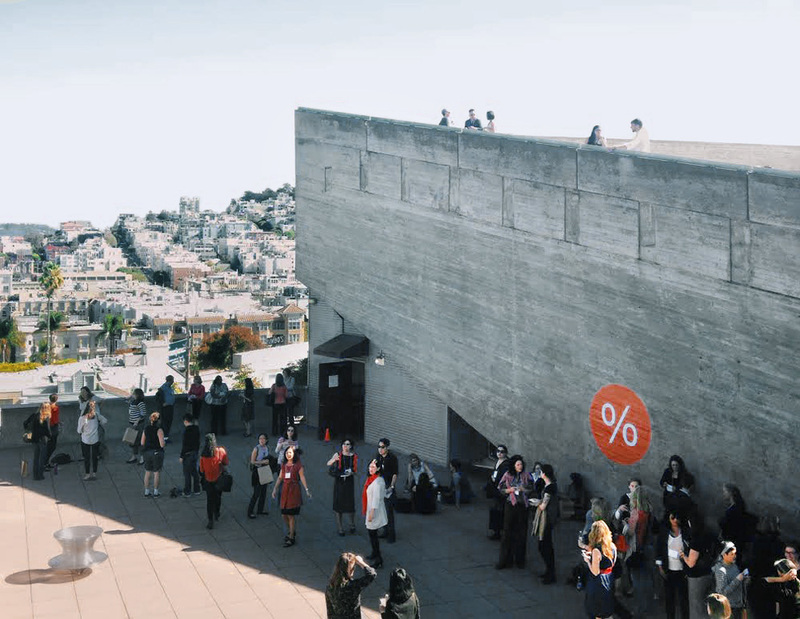 To initiate change within the profession, AIASF called upon firms to support the 50/50 initiative—an initiative that would increase the overall representation and participation of women on architectural award juries, Boards of Directors, and speaker line-ups for AIA events. As one of the Missing 32% on-ramping back into architecture and licensure after an extended leave to take care of my family, I consider October 18, 2014 an historic milestone for the profession. Technology is facilitating our ability to disseminate information and coalesce support. The change we want to improve the quality of professional life for women in architecture can happen. We are gaining the critical mass as women of all ages and in different stages of their careers are engaged in the conversation. It is finally really about us. AIA San Francisco has been instrumental in pushing ahead efforts to address the implicit forces that have allowed the loss of talented women from the profession to grow to 32%. This third Missing 32% Symposium brought the top leadership of NCARB and AIA. Having women lead two years in a row on NCARB, AIA (top photo) and NCSA exemplifies the common goal of equity in the profession. What has started as an issue that the community of AIASF embraced is instantaneously spreading through electronic media and is being embraced across the country by women in the profession. Through the ‘Design Success’ Survey launched in spring 2014, TM32PP has quantifiable data to explain some of the reasons behind the brain drain in the field of architecture. The results of the survey reveal our collective struggle to succeed in our profession of choice and provide us with an insightful overview of pinch points that derail the best planned careers. In 2015, the Missing 32% Project will present its work at the AIA National Convention. One size no longer fits all. Work, especially in the creative professions, has evolved rapidly with the integration of multiple disciplines; design processes have adapted with the rise of technological advancements. The fundamental needs of diverse workplace environments have challenged architects to rethink form, materials and spatial relationships. Architects who have observed these new modes of work, modified daily routines and the redefined the work day, and the emerging patterns of planned and spontaneous collaboration are bringing back ideas to their workplace. Is the practice of architecture immune to the change that has transformed the tech industries, where innovation is vital to competitiveness? Architects are reflective observers, highly educated problem-solvers, and vocational designers with the vision and training to deliver practical solutions. If creativity is a rare talent, then creativity with purpose, backed by disciplined training, is a valuable resource that we must protect. The perplexing logic of our system is that we fail to follow through in our support of some of the best minds to enter the profession. Given the resources that our educational systems expend and the sacrifices and challenges that graduates overcome, we should strive to maximize the yield of productive, licensed professionals from our graduating classes to serve our communities. Why do women leave? Feedback from the recent survey essentially highlights what hinders success in the profession for women over the course of a 35+ year career. During this stage women are less likely than men to get licensed. All four major career pinch points compound during this stage – paying dues, licensure, caregiving, glass ceiling. The greatest obstacle to licensure are the long hours and high costs of licensure. The 2013 NCARB By-The-Numbers Report shows that it takes an average of 5.33 years to complete licensure; it took 6.18 years in 2010. Women in this stage are more likely to get licensed than men. Women report low job satisfaction. Women are more likely to work on production and Construction Documents even though their top desired experiences are to lead the design team and manage the firm. They are finding that their day-to-day work is less relevant to their long-term goals. Men are being promoted a lot faster than women and take on firm leadership positions and become principals. Men are being paid a lot more than women; in general men are paid more than women through the entire career span and the differences widen over time. Women are still the primary care-giver in the family – aging parents, children. It takes 30 to 35 years to reach a position where women feel greater job satisfaction. Women are still being paid a lot less than their male peers. The percentage of women in firm leadership positions continue to lag behind their male peers. 3. Revamp AREs so that the competency testing is relevant to today’s professional requirements. In addition, AIA will be launching AIA University at the beginning of 2015 to deliver online education to AIA members that will support life-long learning, meet membership and licensing requirements, and simplify the reporting process. The stars are lining up. The Missing 32% Project symposiums have demonstrated that our voices can bring about change. 2014 is the year in which Julia Morgan became “the first female to receive the AIA Gold Medal” (albeit posthumously) because we joined our peers and stepped up to advocate for her recognition. It is mind-boggling to think that we played a role in Julia Morgan’s award by signing the electronic petition. Let us remain focused on the collective goal and continue to influence future outcomes. Clearly, we matter. Last issue, we reviewed Feminism and Architecture: Intergenerational Conversations, the keynote address that Susana Torre, architect, feminist, critic, and educator, gave March 18, 2014 at The Architectural League NY and Parsons The New School for Design. February 11, 2015, the OWA Book Circle along with members of the AIASF Missing 32% project committee invite you to a round-table discussion with excerpts of the video of Torre's address that is available on The Architectural League of New York's website. We ask you to view the video beforehand because it is so full of ideas, or you can read the lecture, which is published on Parlour's website in three parts: Feminism in Architecture, Tokenism, and Where to Next? The Book Circle plans to start 2015 by actively viewing and discussing Torre's talk, adding further readings and discussions that engage the issues Torre has raised and pick up on those explored at two recent symposiums, both organized and chaired by OWA members, Gender Matters Symposium honoring OWA's 40th Anniversary, April 2013, Mui Ho, Chair, and the recent Missing 32% / Equity by Design Symposium, Rosa Sheng, Chair. If you are interested in the interface of Feminism and Architecture, or wonder what this discussion is all about or why it still matters, please join us at our February 11 Book Circle in San Francisco at MK Think, 1500 Sansome St, open to members and friends. Jot down your thoughts as you view the video before February 11 to assure a lively discussion. You may contact Wendy Bertrand of the OWA Book Circle to propose ideas or format for discussion or to get more information. Specific event information will be posted on the OWA and AIASF / 32% websites. Hope to see you February 11, 2015. Teresa Sevilla was born in Lima, Peru on February 7, 1939. The first daughter of an entrepreneurial woman, Irene vda. de Cruz, Teresa grew up with the tranquility of being raised in a small city where people have time to think, listen to music, feel nature and give love. All these factors influenced Teresa and are shown in her designs. Her early education was at Our Lady of Lourdes, Piura, Peru, where she graduated in 1956. Upon her graduation she moved to Lima, the capital of Peru, to pursue her desire to become an architect and design livable houses. The prestigious University of Engineering in Lima is famous for its difficult entrance examination, and only a few are selected. Teresa passed all the exams for engineers as well as for architects. She entered the architectural program, and graduated in the 1960s. Inspired by one of her professors, Architect Fernando Belaunde (twice president of Peru), she came to the United States to continue her studies. She met her idol Frank Lloyd Wright, who influenced her in the design of living space. Teresa enrolled in the graduate program at Columbia. In New York as a young professional, she converted a plain apartment into a space where there were no angles and the surroundings round. In Soho, she transformed a factory floor into a living space with walls only for the bathroom, and a kitchen that was raised to mark the separation between the chef’s area and the rest of the apartment. In order to provide an area for her to work, from which she could see her 1-year-old boy, she raised the level of her studio, but put no walls, only rails so Freddy would not fall. The size of the apartment felt impressive and looked beautiful with the hardwood floor she installed. Not only was she designing and supervising the transformation, she was also using a hammer and nails. 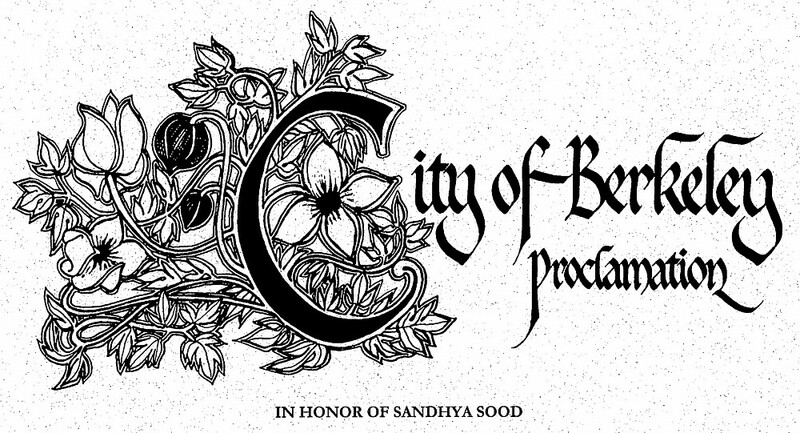 When she moved to the Bay Area, she began working for the City of Oakland in their Housing Rehabilitation Program. Through the years, Teresa has taken on small projects for friends. She retired from City of Oakland in 2005. To really appreciate Teresa, you have to visit her house, the adobe building on Tunnel Street in Berkeley that has retained its charm and history, as well as the meaning behind them. The only modern aspect is the fence that is adorned by designs from hub cubs left by drivers as they speed on their way to the Berkeley campus. Here you could see her garden––organic vegetables all over––and come into a kitchen that does not have a microwave. You could look at walls that have art, not necessarily famous signature art, but art that tells about beauty, peace and work. She passed away on October 26, 2014. Her mother, at 96, came from Peru to see Teresa and to stay with her daughter till the end. Teresa has designed a house for her mother and it is under construction. We will all miss Teresa and her enthusiasm for good food and good design. 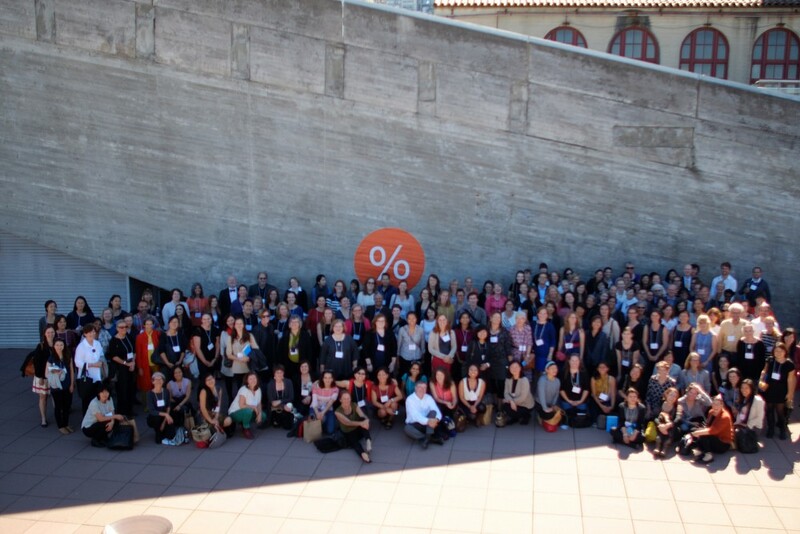 The annual business meeting of the Organization of Women Architects and Design Professionals was held on October 21st at Preservation Park in Oakland. We conducted our annual business at the meeting including hearing some updates from our Book Circle and "Pod" groups, passing the budget for 2015 and electing our new Steering Committee members. Our newly elected Steering Committee members for 2015-2016 are Gloria Kim Woo (Public Relations Coordinator), Sharon Chio (Membership Coordinator) and Naomi Horowitz (Information Coordinator). - Alternative ways to approach architecture, especially focusing on what women have to contribute to make architecture a voice in shaping the future of the built environment. A key issue that was on everyone’s mind is membership. Over the last year we have seen a decrease in our membership. The Steering Committee has been talking about this trend and we are in the process of identifying the possible causes and implementing solutions. We received a lot of valuable input from our members at the business meeting and heard some excellent ideas about ways to address this issue. The annual business meeting is a very important part of our organization as it gives members the opportunity to discuss and debate the direction and activities of the Organization of Women Architects and Design Professionals. As a member of the Steering Committee, it is always helpful to hear from our members as we try to make decisions on behalf of the membership. Please don’t hesitate to reach out to me or any other Steering Committee member if your have any ideas or feedback you would like to contribute. You can contact us individually or at email@owa-usa.org. Thank you to everyone who attended and I hope to see you all again next year at the 2015 meeting. - List job openings on the Forum? - Create a portfolio of your work, including a link to your own website? - Create a journal, including images, and set your preferred level of privacy? Both the portfolio and journal features can be found by going to your profile page and looking under the appropriate heading. Remember, you need to be logged in to access the members-only portions of the web site. If you have any suggestions for improvements to existing features, or new features that would be helpful, please share them by emailing email@owa-usa.org. 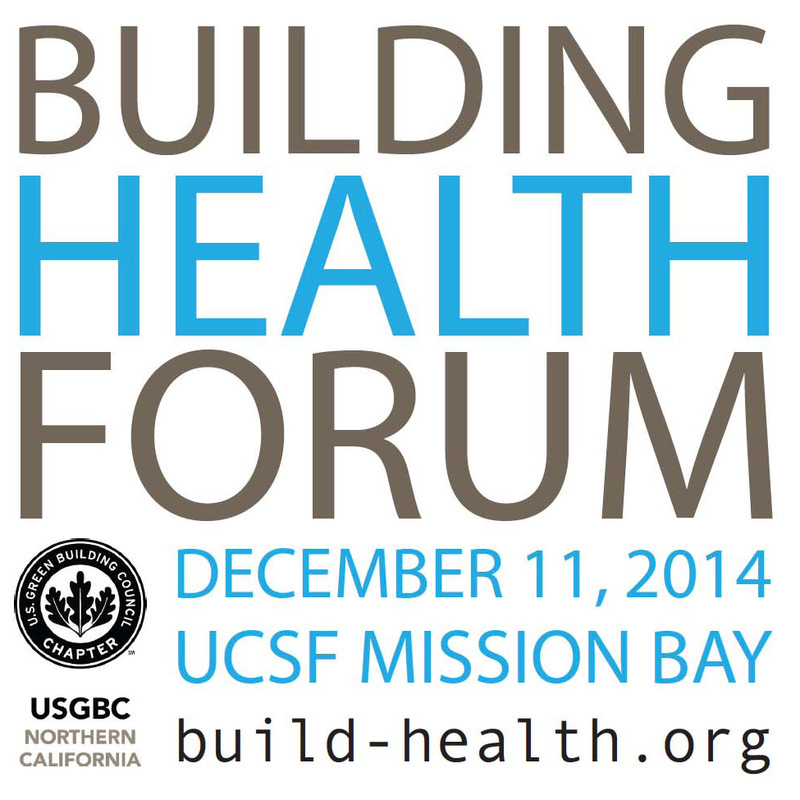 OWA member Jean Hansen and colleagues Arlene Blum, Suzanne Drake, and Judy Levin will present one of twelve educational sessions at the Building Health Forum organized by USGBC-Northern California Chapter, to be held at the University of California San Francisco’s Mission Bay campus on December 11. Their session is part of the "Materials and Transparency" track and will focus on advocacy and issues in avoiding toxic flame retardants and optimizing healthy materials while meeting codes and fire safety standards. Jean HansenFIIDA, LEED Fellow, CID, EDAC, AAHID, GGP, has over 30 years of experience in sustainable design, planning and interior design, and is responsible for advancing HDR’s sustainability initiatives globally in project and research work for healthcare and institutional environments. She worked on the development of the USGBC’s LEED Healthcare rating system, Green Guide for Health Care, BIFMA’s level and the Health Product Declaration (HPD). 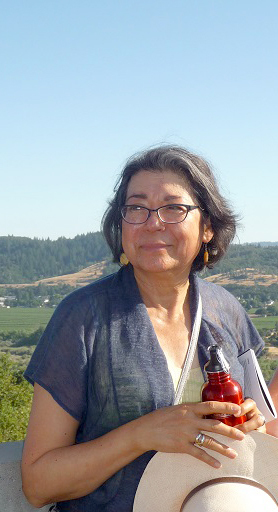 Arlene Blum, PhD, biophysical chemist, author, and mountaineer, is a Visiting Scholar in Chemistry at UC Berkeley and executive director of the Green Science Policy Institute. GSPI works to implement and support chemical policies protecting human health and the global environment, including code change proposals to avoid the use of toxic flame retardants in building insulation. Blum’s many awards include being named one of 100 “Women Taking the Lead to Save Our Planet” (National Women’s History Project). Suzanne Drake is an Interior Designer with Perkins+Will, co-Chairs the firm-wide Healthy Materials Task Force, and is the author of EcoSoul: Save the Planet and Yourself by ReThinking your Everyday Habits, 2013. Judy Levine leads the Center for Environmental Health’s flame retardant campaign, helped author a flame retardant disclosure bill in California, and has developed purchasing guides for flame retardant-free products. The 12 sessions are organized into three tracks: Design and IEQ, Community and Social Equity, and Materials and Transparency, with "275 of the world’s preeminent experts and thought leaders . 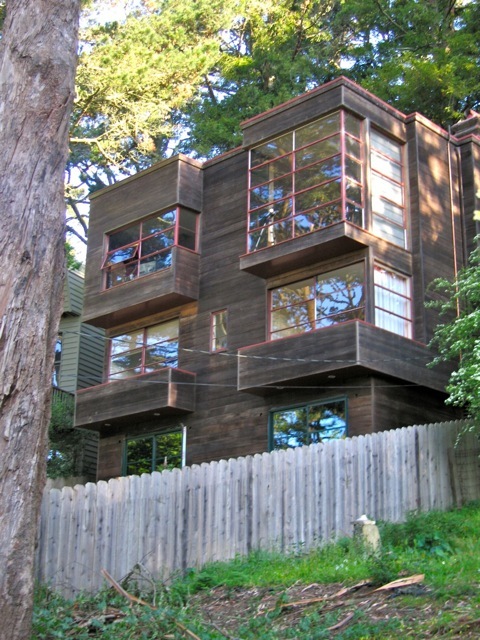 . . reframing green building as a public health issue." To see full proclamation, click on "more information here"
Sandhya Sood, AIA, Principal of Accent Architecture+Design and OWA member, was presented a proclamation by Berkeley Mayor Tom Bates, Oct. 7, honoring her “emphasis on sustainable design and building” and her “awareness of the relevance of Julia Morgan’s work and the shared architectural heritage of our city and state.” Sood studied “the illustrious architect Julia Morgan as an early practitioner of sustainable design” as well as “her passive solar techniques and climate responsive design strategies that support Berkeley's sustainability mandate,” the proclamation said. 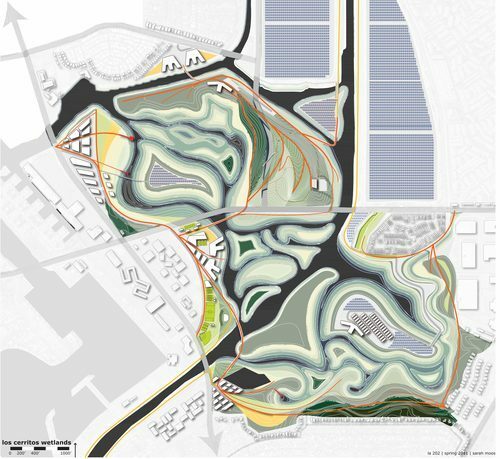 Sarah Moos, Associate Landscape Architect and Urban Designer at Bionic in San Francisco and OWA member, was selected as a finalist for Curbed Young Guns of 2014. Their website states that Sarah finds it "fascinating to meet people from the community to see what their day-to-day lives are like, and to understand how their environment can be improved. The ability to capture, reuse, and store water, and thinking creatively about landscapes that can do that while still providing the open space amenities that we want them to, will be increasingly important in the future. It keeps it interesting and invigorating to be working at those different scales." Congratulations to Sarah. Click on the "Meet the Curbed Young Guns Finalists: the Community Builders" link to view her work and that of other candidates. The final selection will be made in December.